Would you like to explore and admire some of the oldest and most precious European Old Towns? Check out this list and pick your favorite – it could be a great idea for a romantic weekend to visit some of these amazing cities. The town is protected by UNESCO due to its historic heritage and its importance. The town is dubbed the “Franconian Rome” since it sprawls across seven hills, each one of them topped with a stunning church. Bamberg boasts numerous architectural wonders from various eras. It is also home to nine breweries, therefore trying local beers is a must. The Old Town is said to be one of the best-preserved Medieval cities in the continent and of course, is protected by UNESCO. The cozy heart of Tallinn can be explored on foot. The tourists come here to admire the historic architecture, huddled on the shore of the Gulf of Finland. Everything is within a hand’s reach here – the amenities and accommodation can be found in the modern part of the city, while restaurants, bars and the landmarks in the beautiful Old Town. Found in the south, on the beautiful French Riviera, Aix is a historic town, was founded by the Romans themselves in 123 BC. It is famous for the historic architecture, unique local cuisine, and fragrant Lavender fields. Aix has been influenced by numerous Mediterranean countries, therefore boasts a blend of various flavors and styles that are evident in its culture. The charming town is found in Emilia-Romagna and offers an abundance of historic sightseeing. The town features such architectural wonders like the Palazzo dei Diamanti, which is encrusted with 12,600 gemstones, and the 15th-century wall, which used to protect Ferrara. The capital lies on the Gulf of Riga and is the largest city of the Baltic states. The town has witnessed tumultuous historic events, which are evident in the architecture, that encompasses Art Nouveau, Jugendstil styles and even boasts some wooden buildings. Like anything else in Switzerland, Lucerne is a gorgeous town, with impeccable architecture and greenery. It also features Chapel Bridge – the oldest bridge in Europe, originally built in the 14th century. 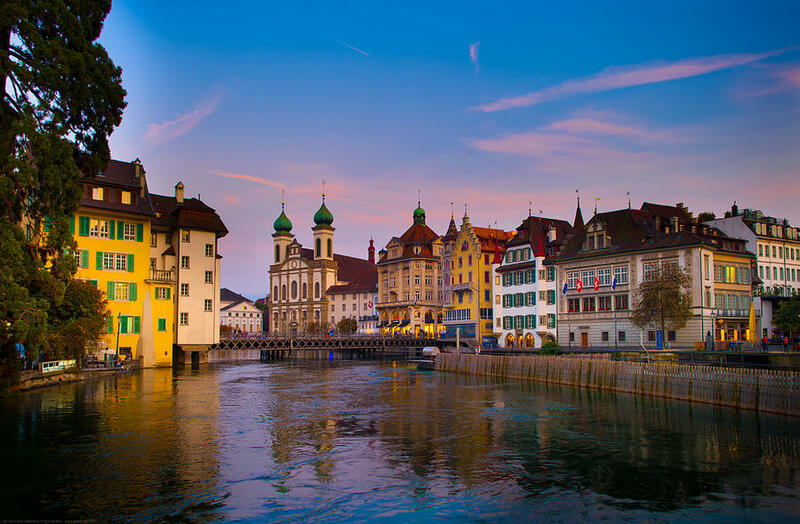 Besides the great historic architecture Lucerne also boasts a typical Swiss landscape: embedded in the mountains, the city boasts snowy peaks and green valleys in the backdrop. Found on the banks of the Warta river, the town is famous for its incredible renaissance old town. It is quite unusual for Poland and Eastern Europe and really reminds a southern part of the continent. Nevertheless, it is a very pretty and youthful town, attracting crowds of tourists each year. Discover the architecture and cultural venues. The town has a university and a lot of students, keeping it hip and full of entertainment. One of the most beautiful Medieval towns in Europe. The amazing architecture can be best viewed from the boat tours that run via the canals. These channels create a very romantic atmosphere and make it a great town to visit on a short weekend trip. Go on a tour, try Belgian waffle and chocolate and stay in a hotel, established in some historic building, which has preserved the Medieval aura! The historic center of the capital is protected by UNESCO and is a proclaimed World Heritage Site. The Cathedral in the heart of Vilnius is a beautiful monument, while precious Gediminas Tower on the hill crowns the city. The center and the old town are postcard-pretty and offer wonderful accommodation, bars, restaurants and shopping opportunities. One of the most exciting and popular towns in Portugal. The town is packed with historic architecture from various eras. It is also home to the famous local port wine, which has been manufacture here for centuries! 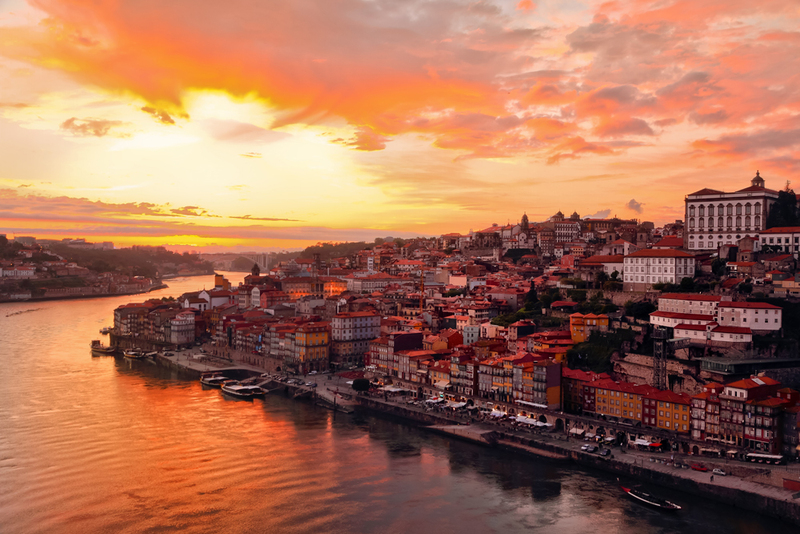 Visit the Old Town of Porto which has been proclaimed a World Heritage Site and is protected by UNESCO.